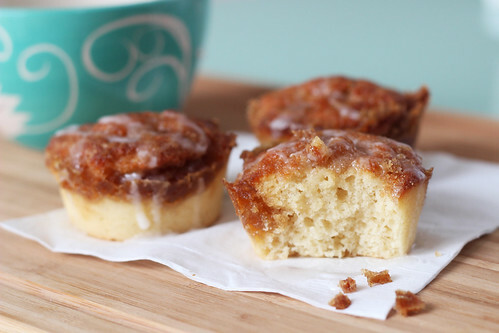 OMG…I'm totally drooling for cinnamon everything right now and then you go and post these amazing beauties. 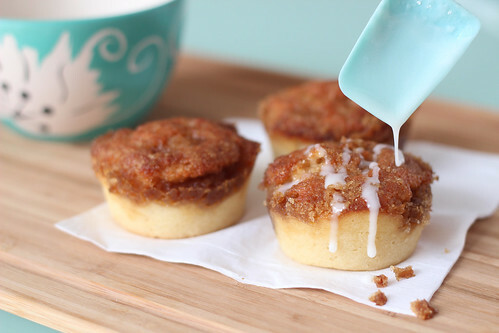 I'm going to have to add these to my menu next week because I need these in my stomach like yesterday. I definitely have to give these a try! They look scrumptious. I made these yesterday with a bunch of preschoolers, I love that the batter was fluid enough for them to actually stir. They were very tasty, I'll be making them again I'm sure. 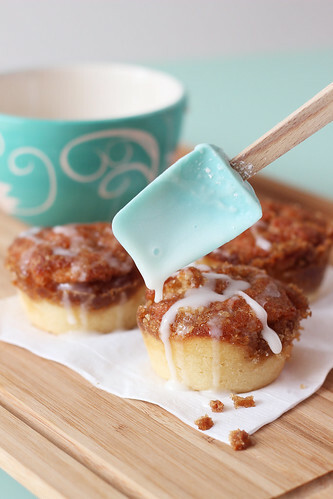 I added a few drops of orange bloosom water to the icing, it was extra yummy. I made these today and they were easy, but there was WAY too much yeast in the recipe. I saw that when I read through the recipe, but since another review said they were tasty, against my better judgement, I didn't alter the amount. Big mistake. I don't know how the original “store bought” cakes tasted – perhaps it was just like this, but it isn't something my family would even finish eating. Thanks for the feedback, Ann! We didn't think they were too yeasty, but, there were comments/reviews on Joy the Baker's post about the amount of yeast. I think it boils down to personal taste and maybe even strength of the yeast used. I will add a note to the recipe mentioning your review! Greetings from South-Germany and thanks for the recipe. I’ve made this recipe two weeks in a row now. My family LOVES them! Thanks so much for sharing it. I passed it on to a friend who sampled one at my house yesterday, too. DELICIOUS!